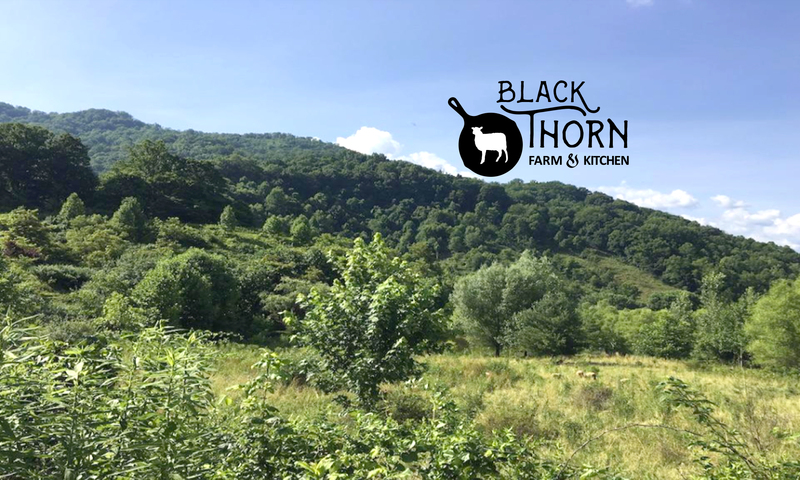 Black Thorn Farm & Kitchen is a grass-based farm in the beautiful mountains of Big Sandy Mush (near Asheville, NC). We have a small flock of mixed breed, predominantly old English wool sheep. They are raised here, as they have always been, for their meat, wool, and sheepskins. We like to call them our mountain mutts. We raise hogget. In the United States hogget is not a term people are familiar with anymore and because being an unconventional sheep farm is already weirdly marginal, we usually say we raise lamb. The difference is in the animal’s age, and in that difference lies contrast in size and flavor.